Saturday, May 3 1908 -- $1100 was pulled in by a benefit performance for the Actors' Fund. Included on hand is the eventually to be well-known movie actor Charles Ruggles. I gather actor William Desmond, if this does in fact refer to him, didn't show up. I can't ID any of the rest. I can, however, save you a trip to the dictionary -- whiskerando refers to a bearded person. Adam Chase strip #44, originally published April 2 1967. For background on the strip and creator, refer to this post. Charles Anthony Voight was born in Brooklyn, New York on April 28, 1887, according to his World War I and II draft cards, which also had his full name. In the 1900 U.S. Federal Census, he was the oldest of three children born to Anthony, a railroad engineer, and Louisa. They lived in Brooklyn at 228 Dresden Street. Information regarding Voight’s education and art training has not been found. According to American Newspaper Comics (2012), Voight’s cartooning debut was Little Annie Rooney, which ran in the New York Evening World in 1902. About five-and-a-half years later, the Evening World ran his Tilly Tawker. Later that same year, Voight began producing several strips for the Boston Traveler; Gink and Dink started October 24, 1908. Gink and Dink continued in the pages of the New York Evening Globe followed by the Evening Mail. Joining Gink and Dink were Mrs. Worry, beginning December 12, 1910, and Friday, starting December 16, 1910, both in the New York Evening Globe. 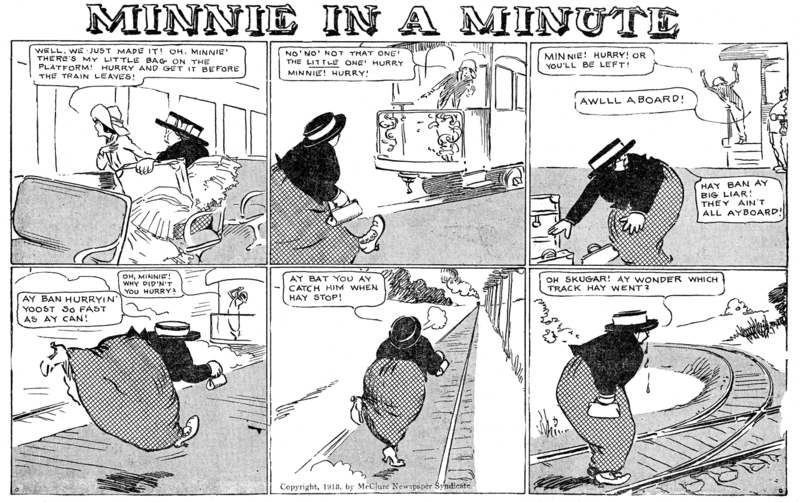 The trio of strips also appeared in The Washington Times (District of Columbia), in February and March 1911. In the Saturday Evening Post, February 11, 1928, Fontaine Fox explained how he created the Toonerville trolley after a trip to see Voight. ...After years of gestation the idea for the Toonerville Trolley was born one day up in Westchester County when my wife and I had left New York City to visit Charlie Voight, the cartoonist, in the Pelhams. At the station we saw a rattletrap of a streetcar, which had as its crew and skipper a wistful old codger with an Airedale beard. He showed as much concern in the performance of his job as you might expect from Captain Hartley when douching the Leviathan. I asked another passenger if he could tell me how to reach Voight’s house, and he suggested that I ask the motorman. “He knows everything,” he said. I appealed to the motorman then and he told me he would stop the car when it was time for us to get off; but he did more than that. He got off with us, led the way to the top of a knoll, then pointed to the house and waited to make sure I understood, before he returned to his carload of passengers. By the time we had returned to our home the idea for the Toonerville Trolley was developed. Voight has not yet been found in the 1910 census. His parents and siblings remained in Brooklyn at 1229 Broadway. In the 1915 New York State Census, he was counted twice. Voight, his wife, Nina, and a servant, resided in Pelham, New York at 457 Pelham Street. Voight’s widow mother was the head of the household, which included him and two daughters, in Brooklyn at 830 Halsey Street. A passenger list at Ancestry.com said Voight and his wife, Nina, returned to New York City from Europe, by way of Liverpool, England, on July 19, 1914. 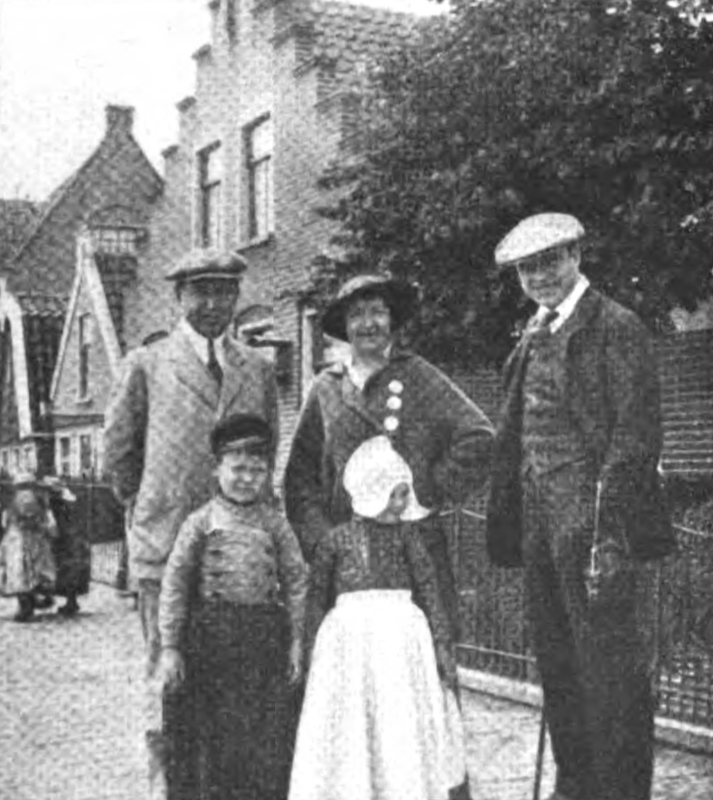 The Green Book Magazine, July 1916, published a photograph of Voight (below, far right) with Earl Derr Biggers and his wife in Volendam, Holland. In 1911 Voight contributed two more strips to the Evening Mail: Better Halves and Colonel Hardup, which had a short run. He possibly created Minnie in a Minute, which was handled by the McClure Syndicate and began May 25, 1913. 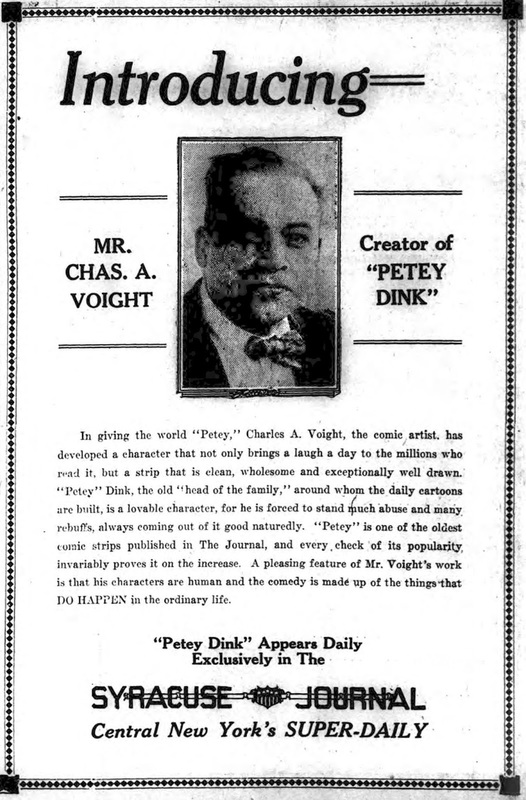 Once again the Evening Mail had more of his projects, including the long-runing Petey Dink which began May 19, 1914, then later moved to the New York Tribune. 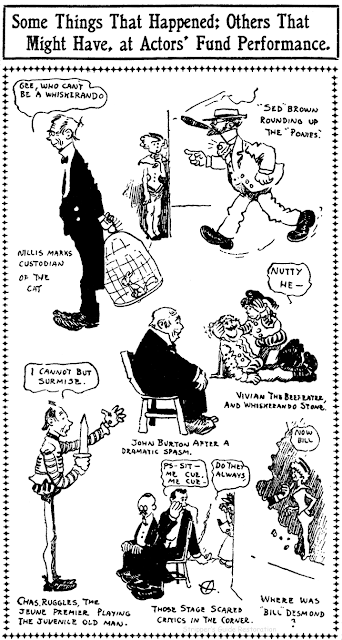 Betty was Voight’s longest-running strip, from 1919 to 1943, which started with the McClure Syndicate and later moved over to the New York Herald Tribune. Voight signed his World War I draft card on June 5, 1917. 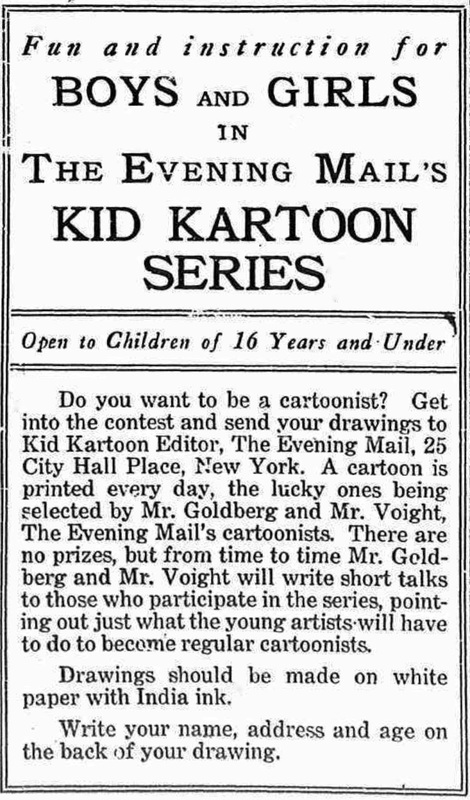 He resided in Pelham Manor, New York at 514 Rochelle Terrace, and his occupation was cartoonist for the New York Evening Mail Syndicate. Voight named his wife and mother as his nearest relatives. The 1920 census recorded Voight, his wife, and a servant at the address on his draft card. He worked at home as an artist. Voight was one of scores of people who signed the Greenwich Village Bookshop door; his signature is at the bottom of panel four. Voight lived alone in Manhattan, New York City at 48 West 12 Street, in the 1925 state census. He remained alone at 34 West 73 Street, as recorded in the 1930 census. His occupation was cartoonist. A death notice in the Brooklyn Daily Eagle, May 19, 1931 said his mother passed away on the seventeenth. Voight produced comics for advertising including Buster Brown Shoes and Kellog’s All-Bran cereal. He also did comic illustrations for the “Kidville Ball Team” cards. Voight has not yet been found in the 1940 census. The Baltimore Sun, June 6, 1940, reported that his wife filed for divorce: “Miami, Fla., June 5 (AP)—Mrs. Nina G. Voight filed suit for divorce today against Charles A. Voight, of Pelham Manor, N.Y….” Sometime after the divorce, he remarried. On April 27, 1942, Voight signed his World War II draft card. He resided in Manhattan at 110 West 74 Street, and named the New York Herald Tribune as his employer. Charles A. Voight, newspaper, magazine and commercial artist, who drew the comic feature “Betty” for The New York Tribune syndicate before the recent war, died yesterday of a heart attack at his home, 192 Columbia Heights, Brooklyn. He was 59 years old. Joining The Tribune syndicate at its formation in 1919, Mr. Voight remained with it until 1942, when he left to work independently. Early in his career his drawings were seen in The Evening World and The Evening Mail. He leaves a widow, Constance Mason Voight, and a son, Charles. An overview of his career is here. C. A, Voight's son, Charles Anthony Voight - a resident of Palmyra, N.J. for 47 years, went home to the Lord on Tuesday, Jan. 20, 2015. He was 72. 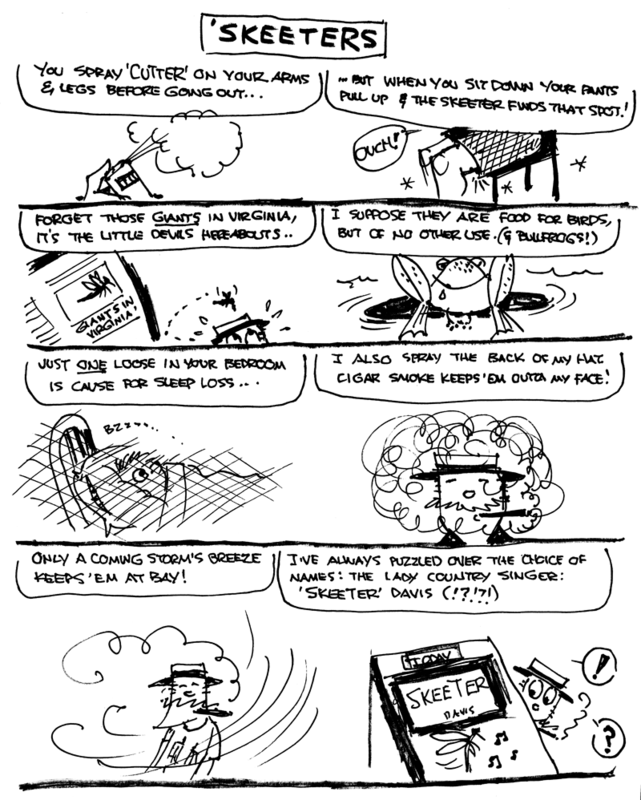 In the early to mid-teens the McClure Syndicate's Sunday sections were almost always in disarray. They generally featured a couple of new features, often lackluster, and some ridiculously dated reprints from the 1903-05 era. To make matters worse, someone at the syndicate had also come up with the brilliant idea that creators should not be allowed to sign their work. Thus the cartoonists producing new material had no overwhelming reason to give it their best effort. Minnie in a Minute is a good example of that. The strip about a lazy Scandinavian maid and her unreasonable employer began on May 25 1913. Though it was never signed, I believe the early episodes may have been by the superb cartoonist Charles A. Voight (but see below). Later in the series the art becomes cruder, and Cole Johnson believes the examples above (from September-November 1913) are by Foster Follett, an ID with which I concur. 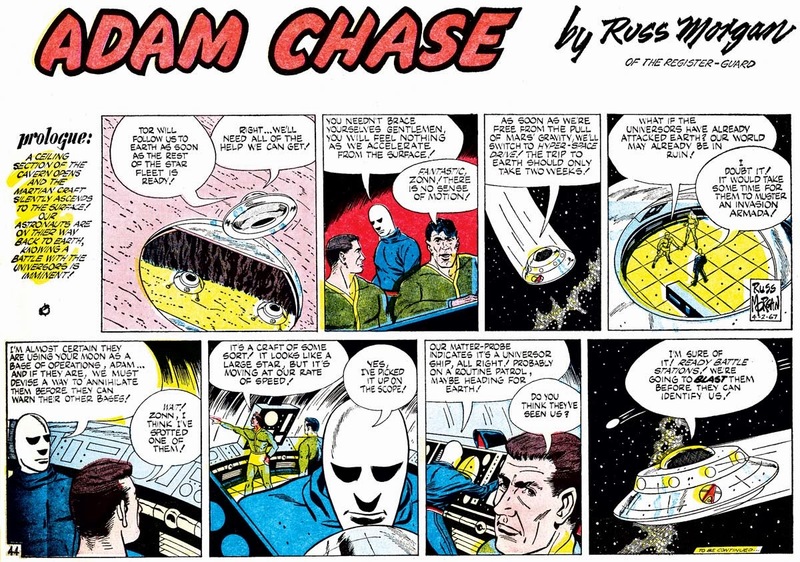 Perhaps Follett was in reality responsible for the series all the way through -- he was certainly capable of excellent work -- but it took him awhile to get it through his head that there was no reason to bother bringing his 'A' game to this strip. 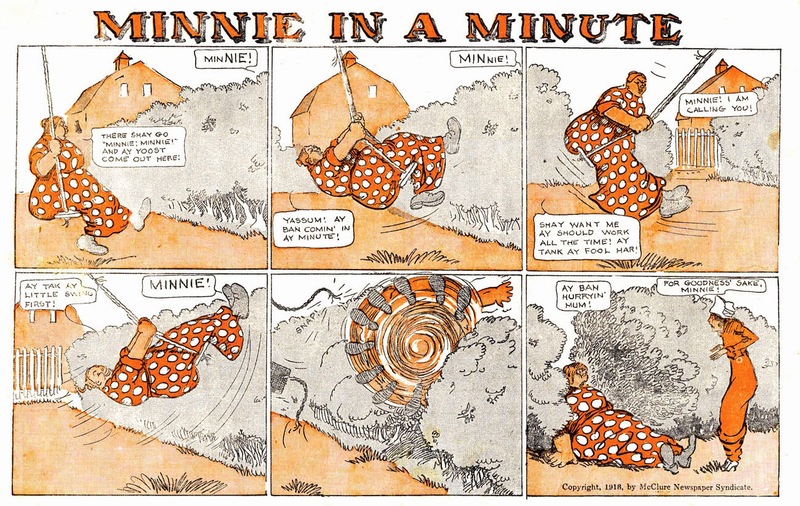 Minnie in a Minute changed to Minnie's Day Off for the October 26 and November 2 episodes, then the original title was restored. The series ended on November 23 1913. EDIT: I have since seen early episodes, including the first, on newsprint as opposed to microfilm. It appears to be Follett's art throughout the series. Sorry for the bum steer about Voight. Isn't the middle one dated 1918? 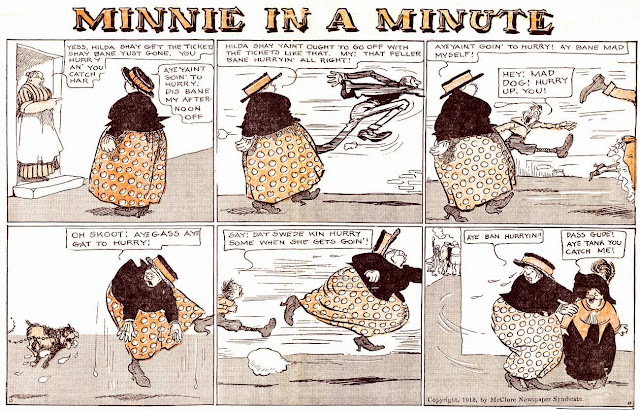 My mom (born 1916) told me that somebody in her family called her Minnie-in-a-minute because she never got anywhere on time. I'm guessing this is where it came from. Thanks for bring back a nice memory! No, the dates are all 1913.